A Memory Of Things To Come? Have you ever seen someone on television, in a movie or even on the street, who is a total stranger to you but you feel like you know the person? This is not that uncommon of an experience. What is uncommon though, is when you actually get to directly experience what this intense feeling appears to represent. Ever since I was a very young child watching television, and I watched a lot of it, there was one particular actor who looked and sounded so familiar that every time I saw him on the little screen, a very strong sense of familiarity engulfed me. The actor in question was Edward Andrews. A very tall, blue-eyed, distinguished looking character actor possessing a very unique and distinctive voice, who always appeared as a sinister, villainous character, multiple times in almost every major every major TV series from the 1950’s, 60’s and 70’s: Cheyenne, Rawhide, Bonanza, The Lawman, Gunsmoke, Twilight Zone, Alfred Hitchcock Presents, Thriller, Suspense Theater, Bewitched, I Dream of Jeannie, Hawaii 50, The FBI, etc. The feeling that I knew Andrews never grew weaker or distant over time. It took several decades for this feeling to be manifested into a tangible form that offered some degree of closure. That tangible form did not make itself viable until the early 1980’s when I received a call from Mrs. Edward Andrews. Can you imagine my reaction when I received the call? It was more shocking than if I’d won the Publisher’s Clearinghouse multi-million dollar Sweepstakes! Apparently the Andrews were experiencing some rather common poltergeist phenomena and they wanted me to come out to their house in Pacific Palisades to investigate it. Upon arriving at their beautiful home on a bright sunny day I was about to be utterly amazed at what I was soon to encounter. While the case was not one worthy of further pursuit due to the very low frequency and magnitude of events, the face-to-face encounter with Edward Andrews certainly was. Back in those years I had occasionally been on TV discussing my work, but not at the level that would occur over the following decades. Therefore it was very unlikely that he would have seen me on some show talking about my work. For the first and perhaps only time in my life I was utterly speechless, as I did not know how to respond to Edward’s question. That I had a lifelong feeling that I knew him? Had I done so I might have been shown the door immediately as both he and his wife would have assumed I was insane. My response to Edward was that I just probably had a very common-looking face. Then came the next shocker. Their teenage daughter walked into the living room and was introduced to me. I do not recall her first name, but I do recall her nickname, TAFFY. All right, this has gone on far enough, what in the hell’s going on here? Oddly, Edward and his wife didn’t seem even mildly perplexed by any of this. 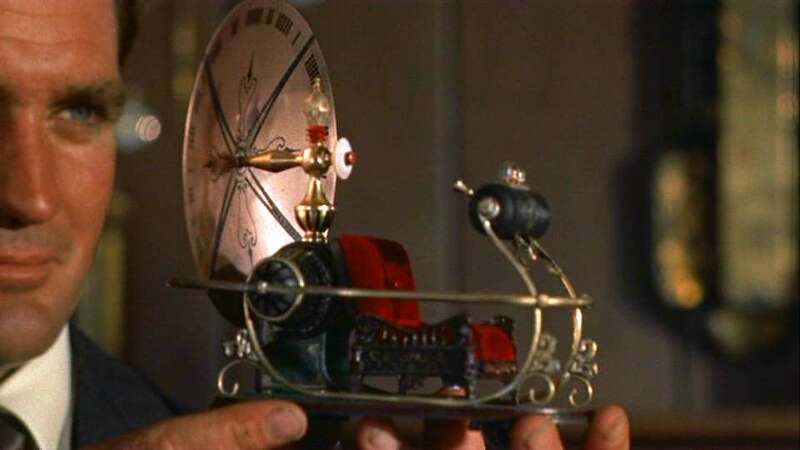 But why should they have, as I was the one who spent most of his life with this bizarre memory of things to come? The sensation I had at that point was that I was literally in a Twilight Zone episode expecting to hear Rod Serling’s voice boom forth at any second. I do not even know how to classify this experience, paranormally speaking. Would it be precognition? Synchronicity? There seems to be a qualitative uniqueness here that defies reason and logic. While I’ve experienced many instances of precognition throughout my life, not one of them even approached the level of high strangeness I assign to this event. Another similar, but not identical, experience occurred in 1976. I was having a recurring dream about a particular actress whom I found absolutely beautiful, Joan Collins. Her image was my exact physical stereotype of what I perceive as absolute feminine beauty. In my dream I was always talking to Joan, except that she was my age. During the dream, this very young Joan kept calling out the name of Barry but she’s wasn’t referring to me. Very odd indeed. This dream continued on for several months, but not every night. It got to the point where I told many of my friends and colleagues about it. Needless to say, they were all pretty tired hearing about Joan over and over again. But that was all about to end very soon. During that same period we were called out to investigate a poltergeist case in Encino within the San Fernando Valley. When the front door was opened to greet us, my colleague and I were stunned by what we gazed upon before us. 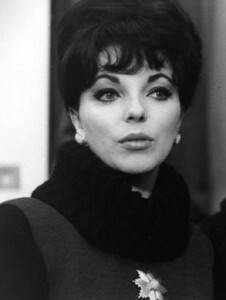 Standing there was a very young clone of Joan Collins. I was amazed, as the resemblance was truly uncanny. But the best was yet to come. When this lady, whose name is of no consequence, took us in to meet her husband in the living room, the next fascinating piece of the puzzle was revealed to us. This woman’s husband’s name was Barry. What are the odds? My colleague never again questioned the validity of my precognitive dreams after this event. Another unexpected event in the midst of all this was when the young lady in question here wanted to have an affair with me. As tempting as this offer was given her beauty, I will never do to another what I would not want done to me, so I refused her advances. My rebuking her had almost no effect whatsoever, so I threatened to tell her husband about her behavior and she finally left me alone. Most of my friends of and colleagues thought that I was nuts for turning this woman down, given her beauty. Had I been foolish enough to get romantically involved with her, it would have been like cheating on myself in a weird way. In the end, why would I want to hurt her husband and family? Okay, this is getting just a little ridiculous, wouldn’t you say? What sense are we to make out of such experiences? What if memory works in both directions? Not only for events you’ve already experienced, but for events you will eventually encounter? There is evidence strongly suggesting that such is true. 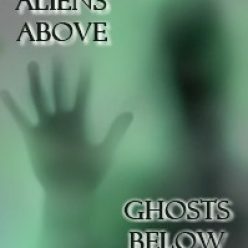 The theoretical explanations for the events described herein as well as many others are discussed in detail within my book Aliens Above, Ghosts Below: Explorations of the Unknown. Posted on April 18, 2012 August 19, 2014 Author Dr. Barry TaffTags Edward Andrews, Foresight, Joan Collins, Precognition3 Comments on A Memory Of Things To Come?